The Nintendo 3DS is set for its world-wide launch tomorrow, and you can get one free with a new mobile phone! You can always rely on the online mobile stores to come up with ever greater deals, but getting their hands on the most anticipated gaming gadget of the year to offer to you for free is a minor miracle. The Nintendo 3DS is set to fly off the shelves, with Currys Digital opening its Oxford Street store at 11:45pm tonight for a special midnight launch. But you can beat the queues and get your hands on Nintendo’s new 3D gaming machine (no 3D glasses required!) by choosing from the following deals. 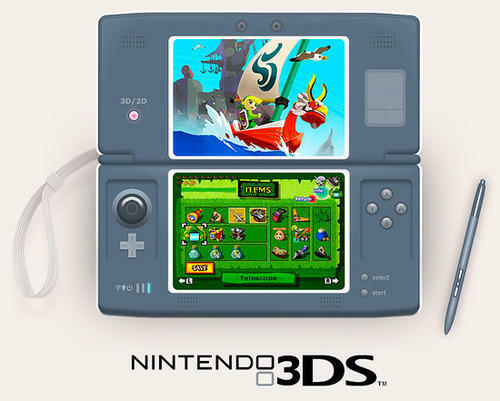 The Nintendo 3DS offers 3D gaming without glasses on a dual-screen portable gaming device. It’s the Nintendo DS in 3D complete with a 3D camera and touchscreen, motion sensor, gyro sensor and StreetPass, for exchanging game data wirelessly with other 3DS users. It’s the gaming device everyone’s been dying to get their hands on and takes Mario, Zelda, Pokemon, Donkey Kong and all of Nintendo’s huge range of characters into a completely new dimension. Check out some of the videos below to see what all the excitement is about. Obviously you won’t be able to see the 3D effect on your 2D screen, but just think about it: Super Monkey Ball in 3D; Zelda in 3D; even 3D Nintendogs! Your kids will think you’re their hero! The phone’s pants but the deal’s hot! Use the phone as a backup or for work and get a shiny Nintendo 3DS for free! A great phone for business, a great price, and a great 3D games machine for free – what more could you want?! If either of these phones aren’t what you’re after, check out the full range of 48 phones that all come with a free Nintendo 3DS.